If you have been searching for a company to trust your helicopter repair to, you have probably already invested a significant amount of time and effort into making sure that your helicopter doesn’t fall into the hands of a service that’s unqualified or inefficient at what they do. As an FAA approved repair station with over 30 years of experience serving the aviation community, we at Sterling Helicopter have become well-known for our commitment not only to providing excellent service but also to lending our expertise and giving outstanding customer support. You want your helicopter to be in the hands of a company that you can trust. 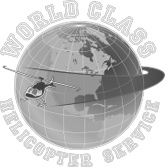 Our team is one of the most well-trained in the area, so you can rest with the peace of mind that comes with knowing that your aviation needs and helicopter maintenance are coming from the hands of a set of qualified professionals. We pride ourselves on providing the perfect blend of timely service and quality repairs on all Airbus, Sikorsky, Agusta, MD, and Bell branded helicopters, so you can expect your downtime always to be kept to a minimum and all of the best practices and safety recommendations are followed over the course of your maintenance and repairs. Sometimes, life can’t be planned. We at Sterling Helicopter are proud to provide 24-hour emergency services for accidents and repairs that need to be completed as soon as possible. To us, it’s just another way that they are able to serve the community and give back to our customers. If you are interested in contacting us regarding helicopter maintenance or repair, feel free to give us a call at 800-270-2681 to speak to a team member or fill out a contact form on our website to learn more about what our services entail. We hope to hear from you!